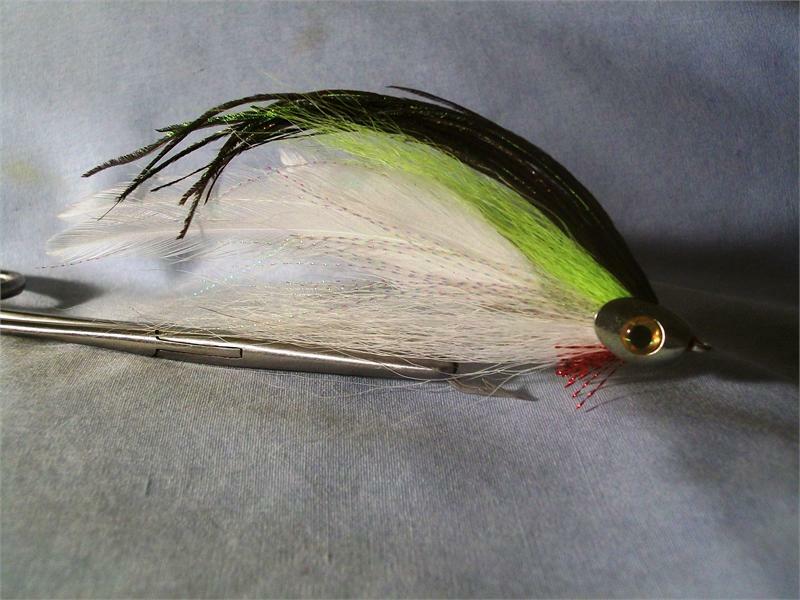 New to the Merrimack River Flies lineup of flies for 2011. The classic Lefty's Deceiver fly combined with a fish-skull weighted head! 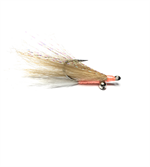 The Fish-Skull streamer weight is an innovative and non-toxic way to add weight and appeal to your streamer flies. Tied with quality Mustad hooks and a natural bucktail wing with peacock herl topping. Fish-Skull weight with 3-D hard prismatic eyes, and peacock herl topping increase appeal.